Mullery Auctioneers has just brought to the market a stunning three bedroom semi-detached home situated in the modern and beautifully maintained development of Oranclose in Oranmore. Number 41 is presented in pristine decorative order and boasts a superb finish throughout. Features include three double bedrooms (two of which have en suites ), concrete first floors, gas fired central heating and built in wardrobes to the bedrooms. The accommodation briefly comprises entrance lobby, living room, kitchen/ dining room, utility room, guest WC, three double bedrooms, and bathroom. Outside there is a paved driveway to the front, and to the rear is a large garden which is not overlooked from the back and includes a patio area, lawn and timber garden shed. 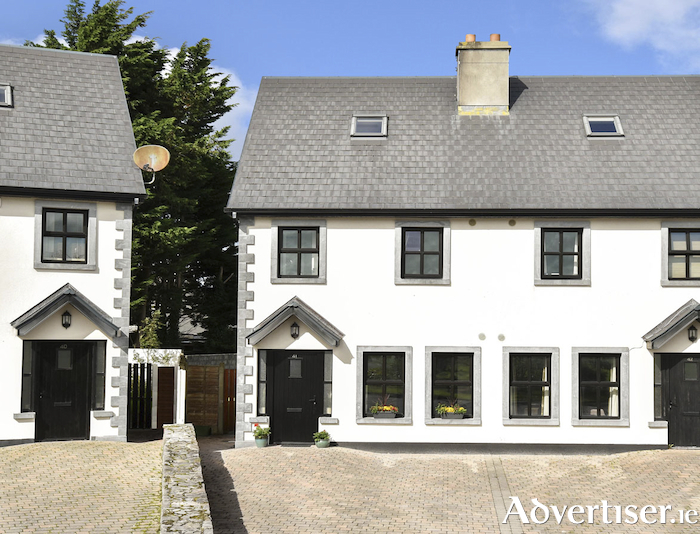 The property is ideally positioned overlooking a green area and is within easy walking distance of the bustling village of Oranmore which offers all necessary amenities including shops, supermarkets, pubs, restaurants, schools and church. Galway city is only a short drive away. Viewing of this property is a must for anyone seeking a ready to occupy home in this attractive and sought after development. Full details are available on www.mulleryauctioneers.ie or call Philip Mullery of Mullery Auctioneers on 086-8101024.